In 2016, 23 trench-related deaths were reported. This is almost triple the eight that were reported in 2012. If you work near trenches, don’t become another statistic. 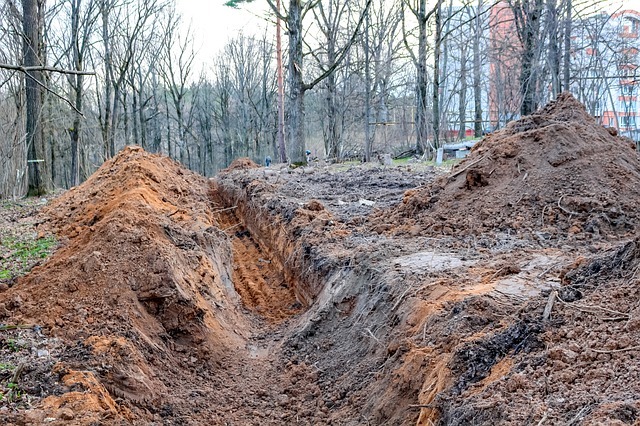 From our partners at Cincinnati Insurance, here are a few OSHA-compliant tips you can use to keep yourself safe if you work in and around trenches. This might seem like an obvious tip, but make sure you’re not cutting any corners on safety. Methods such as shoring, sloping, shielding and benching can all keep an area secure. If the trench you’re working in is over 20 feet deep, these systems must be designed by a professional engineer. If there’s an issue within the trench, it’s wise to make sure you can get out. Have ladders or ramps set up so that every employee is no more than 25 feet away from an exit. Make sure all your employees are aware of the exits as well. In case of an emergency, a quick escape is necessary. If you’re working with excavation equipment, such as cranes or forklifts, make sure no one is in the path of a machine while it’s carrying a load. While the operator might not hit anyone themselves, anything lifted can always drop. Err on the side of caution and make sure no one’s near the load. The most important rule to remember is one you can follow before you even begin working. The “competent person” on the site, as defined by OSHA, should inspect and clear the area as safe. This inspection can help find any potential dangers and put a stop to them before they even begin. There are many utilities that run underground such as water, electric, fuel, phone, and sewer lines. Before you begin excavating, learn exactly where they’re located. This allows your team to plan carefully around them and decreases the odds of running into an underground pipe accidentally. Working in trenches is a dangerous job. Making sure you’re safe should always be your first priority, no matter what you’re doing.